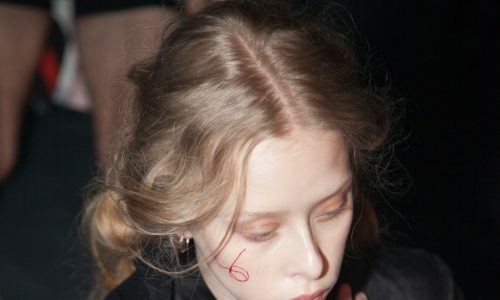 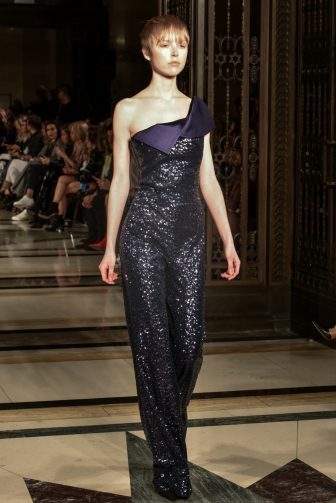 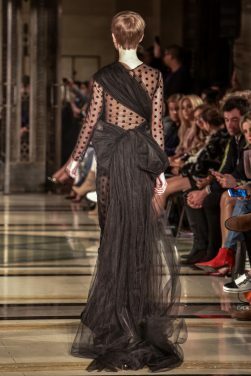 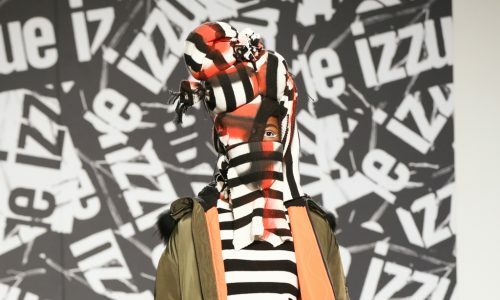 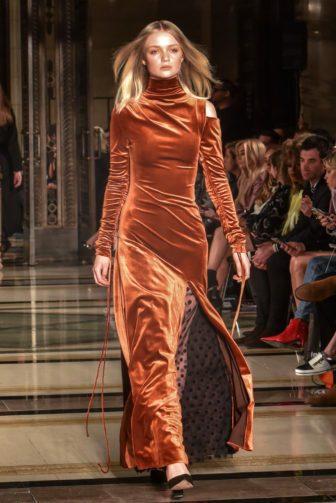 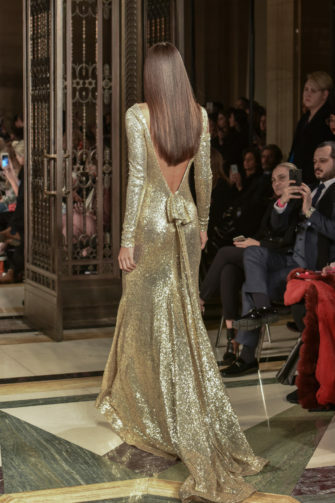 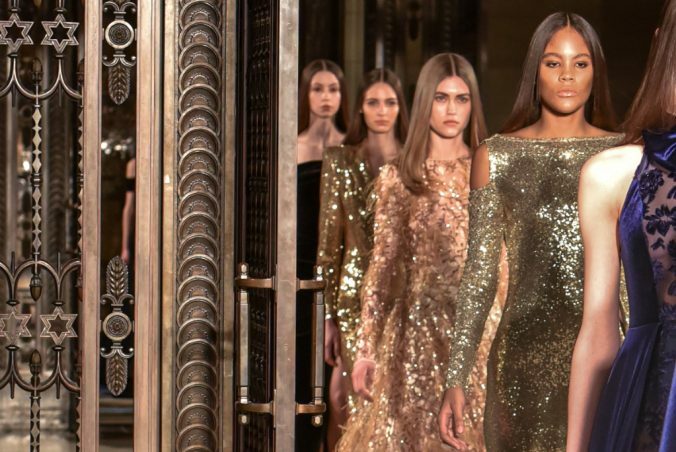 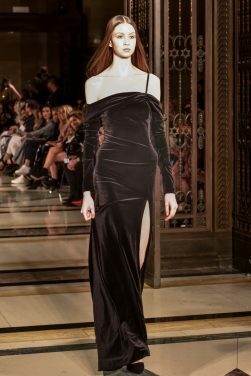 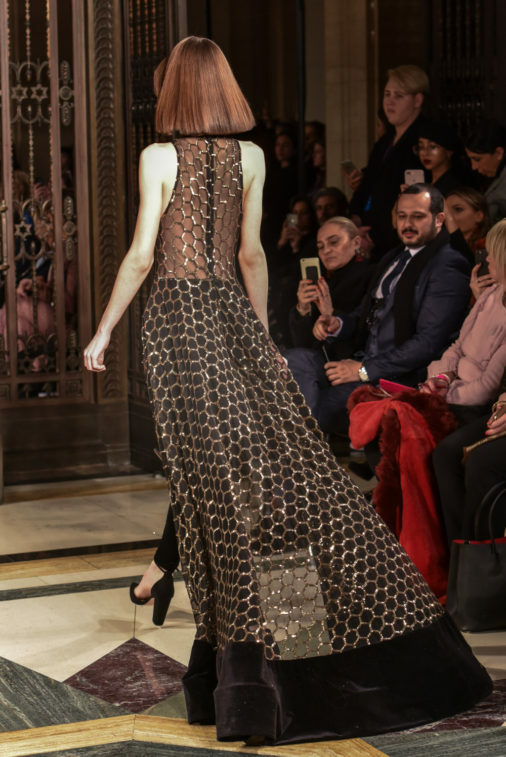 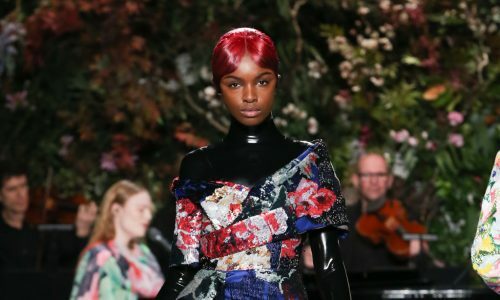 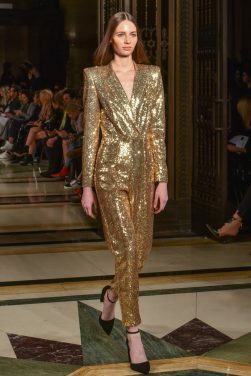 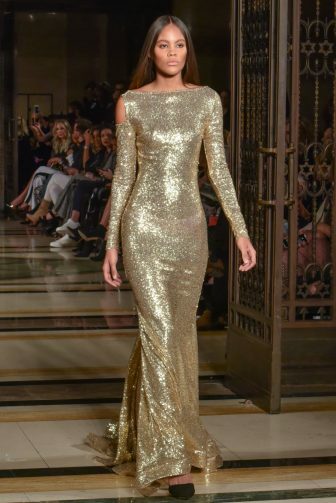 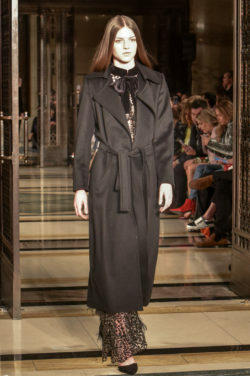 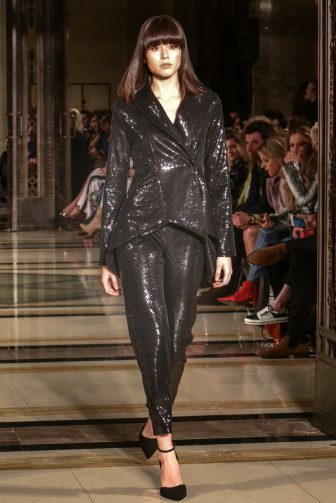 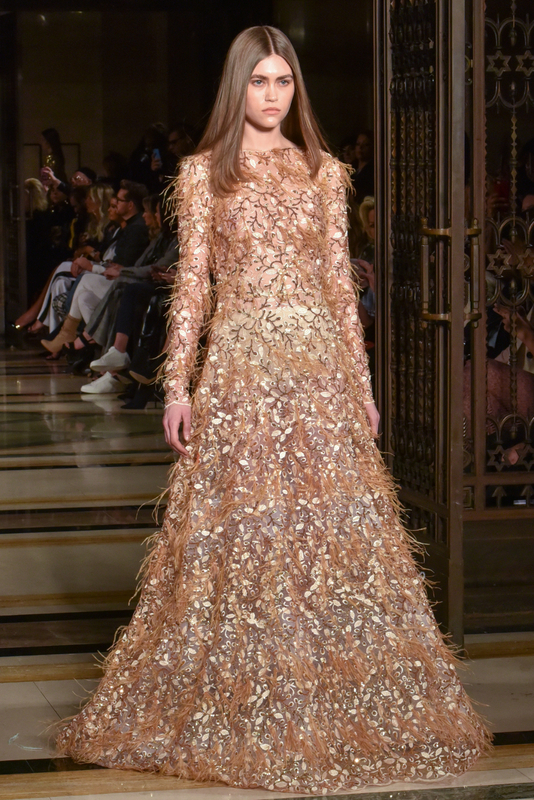 Freemasons’ Hall provided a sumptuous backdrop for Zeynep Kartal’s autumn/winter 2018 collection. 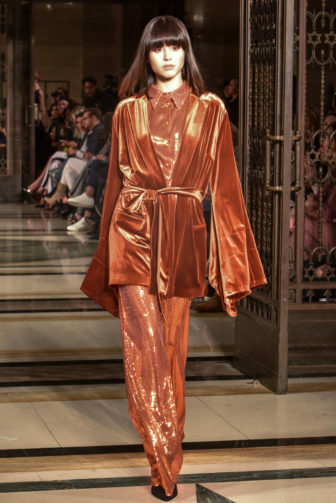 The new season celebrates sixties chic and Art Deco exuberance, producing an opulent explosion of the designer’s signature style updated with these classic themes. 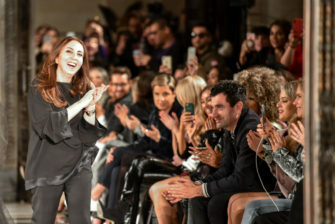 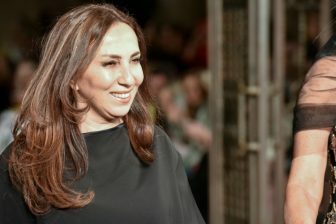 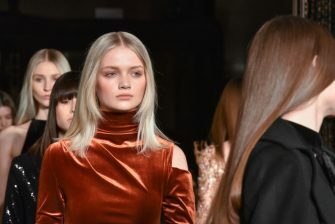 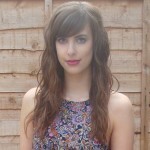 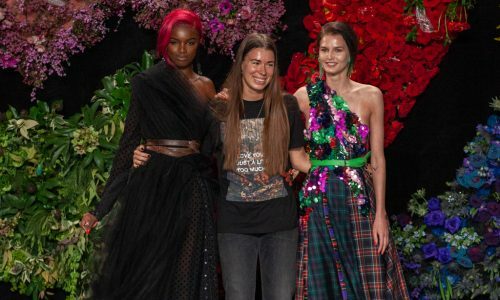 This was beautifully enhanced by the self-belief that each model exuded as she graced the runway. 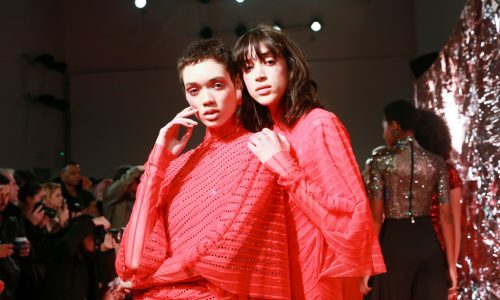 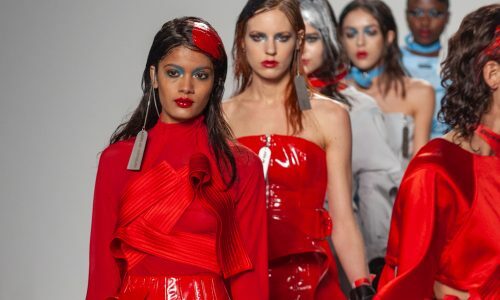 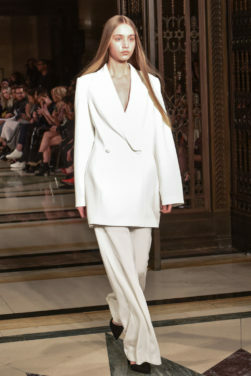 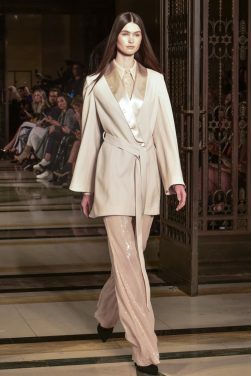 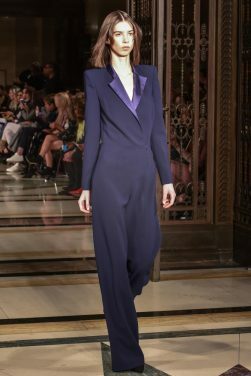 As expected, drama and romance were at the forefront: wide-leg jumpsuits complemented draped shoulders; cascading fabrics skimmed over cinched waists with belted sashes; elegant shirting effortlessly teamed with tailored trousers. 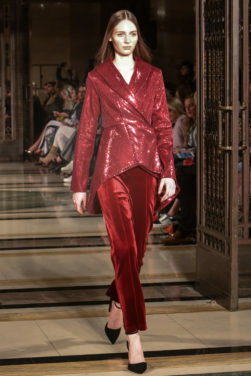 A colour palette of deep red, rich navy and black was beautifully contrasted with gold and silver metallic embellishment, creating the lavish approach that this designer is loved for. 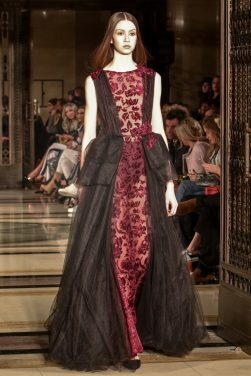 Gowns appeared in a variety of lengths and styles, from one-shoulder column dresses to statement ruffled numbers in silk, handmade lace and weighty velvet. Of course, every piece has been made using couture techniques, with a clear emphasis on beautiful cuts, embroidery and appliqué.